Available in C.I. Up to 60", our V Belt Pulleys are offered with or without taper lock bushes as per the requirements of our esteem clients. 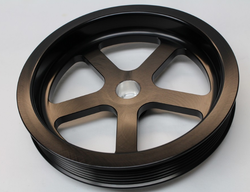 We are offering V Belt Pulleys to our client. CAST IRON, SS, MS, NYLON, CAST STEEL, BRASS. 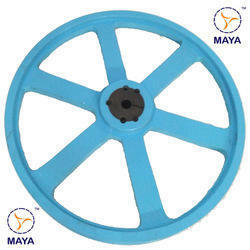 Our company has sculpted a remarkable place in the market as a reputed firm of V Belt Pulley. - Extra heavy duty pulleys for cement plants, steel plants, rolling mills & other industries.